PHNOM PENH: In his modish studio apartment in the city center, French-Cambodian filmmaker Davy Chou seems out of place in history. On his walls hang vintage film posters from the cult classics of the 1960s, the decade credited with produced many of Cambodia’s artistic masterworks. During scorching afternoons, his film students often arrive from the nearby Royal University of Phnom Penh, the school where he teaches, huddling around to discuss their own amateur movie projects. It’s a scene certainly not familiar of poverty-stricken Cambodia. Rather, it recalls an bygone era. In a country where decades of war and poverty have left filmmaking tattered into a line-up of cheap ghost flicks, Mr. Chou, 30s, and his clique of youngsters have been slowly uncovering what he calls the “Little Bollywood” of the 1960s—an era once thought to be lost after most of its films were destroyed and directors executed in the genocidal 1970s. Many older Cambodians fondly remember that era, known in the Khmer language as “Sangkum,” in which producers made around 400 flicks based on ancient Khmer folkore and romances. Civil war engulfed neighboring Vietnam and Thailand, prompting then-Prince Norodom Sihanouk—himself an avid filmmaker—to keep Cambodia a neutral oasis in part by patronizing the arts. The prince, now retired, directed and appeared in at least 19 films. Mr. Chou is a scion of that age, which ended in tragedy. His grandfather, Van Chann Pheap Yun, was a producer who rose to fame with his film Tep Sodachan (1968). But in 1969, when civil war was spreading across the countryside, he disappeared without a trace in the capital for reasons still unknown. 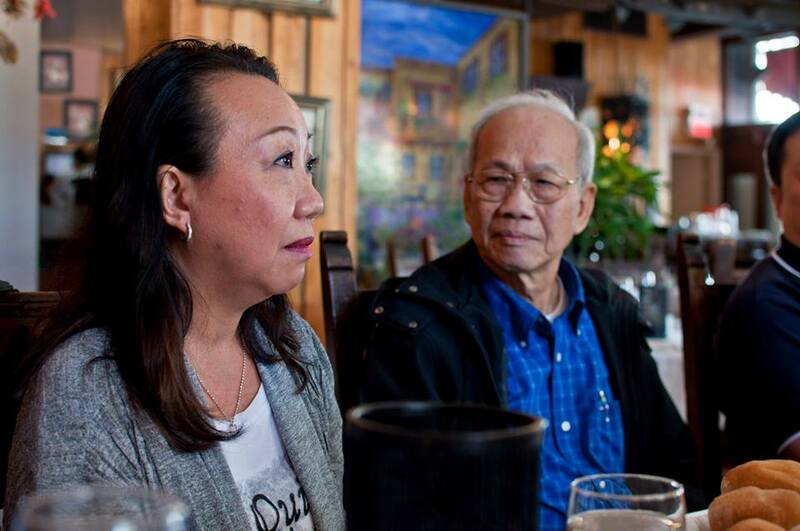 Mr. Chou’s family took a cue in 1973 when they fled to France—barely escaping the hell that was unleashed when the Khmer Rouge took power two years later. The communist regime executed his grandmother, also a famous producer who only went by the pen name “Ms. Van Chann.” For three years they purged the country of nearly all directors and actors, who were thought to be bourgeois enemies of their agrarian revolution. Mr. Chou estimates less than a tenth of the movies from the golden era have survived. But others say they’re a gem of history that needs to be uncovered. “They [the films] provide a more positive way of identifying with their country than the overwhelming discourse of Khmer Rouge, genocide and atrocities that tends to dominate the perception of Cambodia,” said Tilman Baumgaertel, who writes a blog called the Southeast Asian Film Institute. Since then, the film scene has been in tatters. During the 1980s, about 30 Cambodian filmmakers studied their craft in the Soviet bloc states like Hungary and Czechoslovakia. But when they returned, the frayed post-war market was far too small to support their work. That means Cambodian producers have taken to producing slews of pulp horror flicks so sloppy that even the government is hoping they’ll die out, says Sin Chan Saya, head of the cinema department of at the Ministry of Culture and Fine Arts, means. “We’ll have to start from point zero to create films as we did in the past,” he says. His department has been organizing trainings for Cambodian filmmakers to kick start the industry. There are hints of a renewed interest in turning Cambodia into a film hub, the sort that Mr. Chou has been pouncing on. The Cambodian government says it’s putting together its own film festival, scheduled for October and hosting at least 30 films from Cambodia, other Asian countries and Europe. And even Hong Kong star Jackie Chan said he’d like to make a film in Cambodia this year. Yet with all the attention going back to the 1960s, some say there’s a lot of potential in contemporary styles, too. “It’s important for film makers…not to miss out on looking at filming Cambodia in the present,” said Rithy Panh, head of the Bophana Center, an organization in Phnom Penh that archives old movies and albums. Panh’s documentaries about everyday life in post-Khmer Rouge Cambodia, such as Rice People (1994), have been contenders in the Cannes Film Festival and have even been submitted for consideration in the Academy Awards. ~ Without History, there would be no Future. Great post. Thanks for your hard work to write this up. So admirable that Cambodian can rediscover its own movie sector again. Thanks for your comment, Samnang. My friend and I are very happy to hear from you. Cambodia’s film industry is actually keeping moving now! But it look like Thai movie. There seems no Khmer letter at all in the image in your article. It is not a Thai movie. This poster was made in Thailand back in the 60s because that Khmer movie was very popular in Southeast Asia including Thailand. There wasn’t any remaining poster in Khmer language in the online archive, unfortunately. Thank you so much for giving everyone a very spectacular possiblity to read from this site. It can be so excellent and as well , packed with a good time for me personally and my office co-workers to visit the blog not less than 3 times in one week to read through the fresh stuff you will have. And indeed, I am just usually happy with all the unbelievable techniques you serve. Certain 3 ideas on this page are certainly the very best I’ve ever had.